The burgeoning elite sports industry requires professionals who are able to push athletes to reach their peak potential. 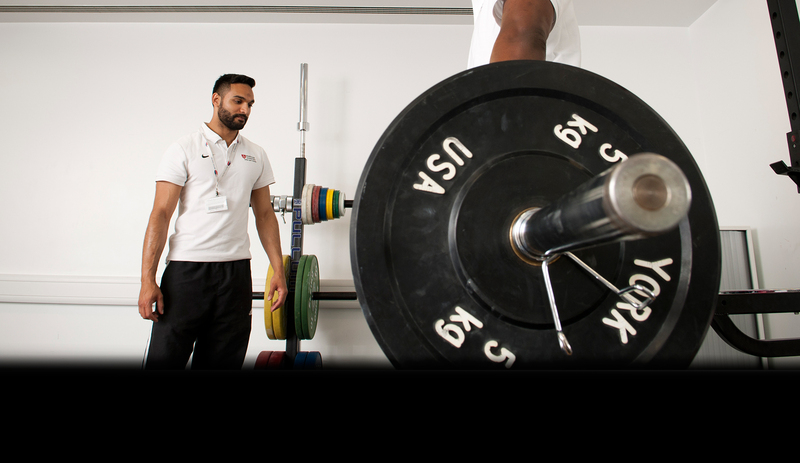 Our strength and conditioning focused degree is the ideal Sport and Exercise Science route for those who aspire to work with elite sportspeople at the top of their profession. 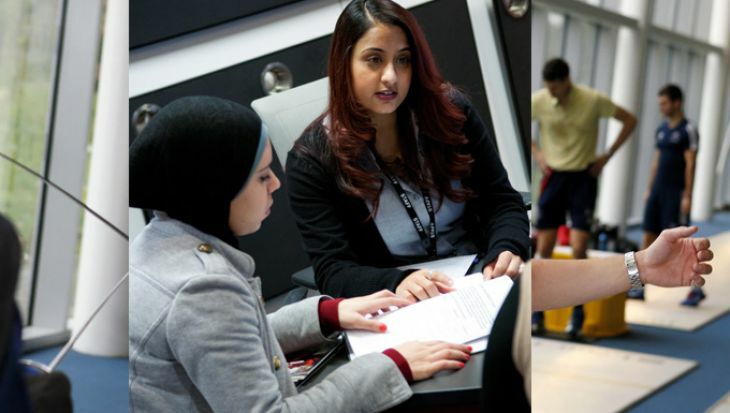 Why study BSc Sport and Exercise Science (Strength and Conditioning) at Middlesex University? We are one of the UK's leading universities for sports education. Our degree prepares you to meet the challenges of elite level performance through studying the full spectrum of Sport and Exercise Science theory, while focusing on the development of effective strength and conditioning programmes, which are targeted at improving athletic performance. Our industry experienced tutors integrate professional practice into your studies. We produce self-disciplined, professional sports science graduates who perform at the highest level (including competing and winning medals at the London Olympics 2012). Like all of our sports pathways, you can either apply directly to this course or to the general BSc Sport and Exercise Science programme and choose your specialism at the end of Year 2. I am passionate about continuing my professional development in the sports industry, working my way up to taking a key role within an organisation, such as Sport England. of our Sport and Exercise Science graduates are now in professional careers (Unistats). 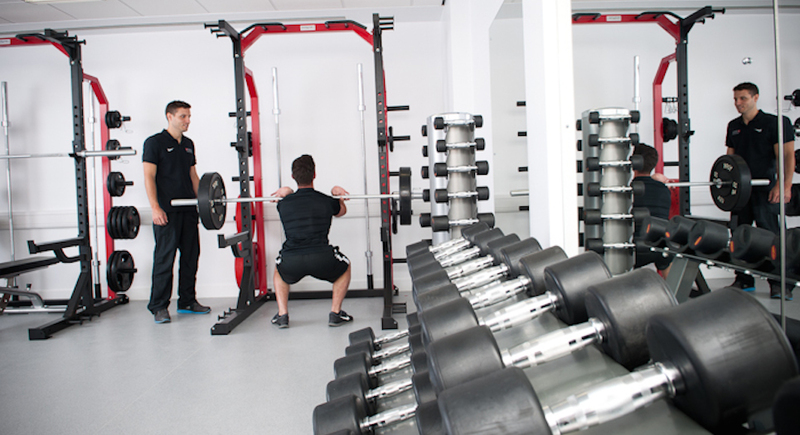 What will you study on the BSc Sport and Exercise Science (Strength and Conditioning)? You will study the full spectrum of sport and exercise science theory, including the methods of enhancing sports performance, the scientific methods of enquiry and a knowledge of the human response to exercise. A large part of your studies will be practice-based at our Allianz Park site and you will take part in 150 hours of clinical practice throughout your degree (50 hours per year). This course offers a broad programme of study, preparing you for a range of sport and exercise science careers working with both sports teams and elite athletes, as well as with people across all levels of fitness, including young people and the elderly. Techniques and procedures used to assess physical fitness and well-being. You will be provided with a broad knowledge of anatomy to develop an understanding of the principals of movement. You will explore the function of the skeletal system and identify the joints range of movement and type structuring the human skeleton. This will provide a platform to understanding how bones interact with muscles in order to produce primary movement at joints. You can then utilise the knowledge gained and apply this to advancing their coaching skills across a wide range of sports. On completion of this module, you will gain an understanding of aspects of strength and conditioning for a range of sports performers. You will develop their knowledge by examining the principles and concepts of training theory from a variety of sources. By understanding these broad principles, you will become proficient in training, planning and practically be able to execute a simple movement screen to highlight functional strengths and weaknesses, as well as performing weightlifting derivatives and plyometric exercises. This module aims to introduce and apply key scientific concepts and principles across the three main sports science disciplines of physiology, psychology and biomechanics. You will gain a broad understanding of human movement, physiological mechanisms that underpin these movements and core psychological concepts that affect health and sporting performance. You will also learn how to work effectively in a team by carrying out practical investigations in all three sport and exercise disciplines. This module will provide a broad understanding and knowledge of the key academic skills required for students to successfully complete their undergraduate degree. You will know the underlying theoretical frameworks for research methods and academic writing by demonstrating their understanding of literature, sourcing literature, the components of research and identifying strengths and weaknesses. This module will also provide the you with the fundamental skills to gain professional industry experience. You will know how to identify appropriate work placements and understand the professional requirements to work effectively with others recognising the factors for team performance. The aim of this module is to introduce the underlying theoretical frameworks of health and fitness, to provide you with the confidence and practical skills to deliver effective training sessions. You will develop their coaching knowledge through a variety of topics, ranging from the benefits and risks of physical activity, the development and maintenance of health, fitness, and understand how to optimise and monitor sports performance. The theoretical sessions will support you to undertake complex and routine practical performance tasks, orientated around developing effective coaching skills, both on an individual and group basis. 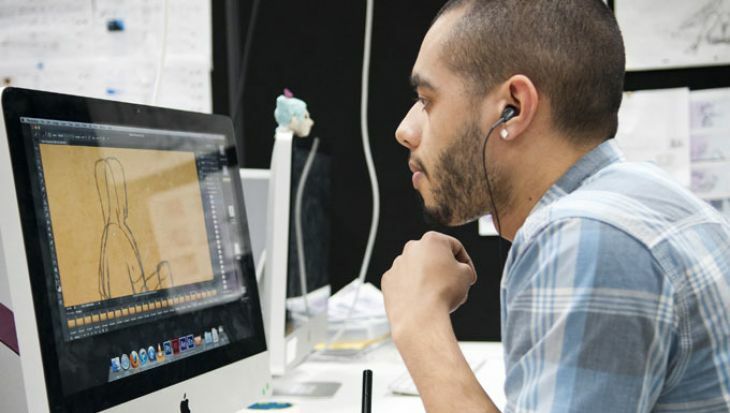 This module will provide you with the skills to analyse a range of academic information, comparing alternative methods and techniques. This will involve them collecting and synthesising this information to inform a subject specific research question. You will have knowledge of well-established research methods and concepts evidenced by the awareness of inconsistencies, gaps and limitations within literature. This module aims to introduce additional advanced sport science concepts, from a variety of disciplines. You will examine and analyse their role in optimising sports performance and/or health in a field setting. You must demonstrate the interdisciplinary nature of how the theoretical principles of coaching, biomechanics, physiology, psychology, strength and conditioning, and rehab can be integrated and applied to working with a client in the field. This module will enable you to experience and apply appropriate interdisciplinary knowledge, tools and procedures in working with both elite athletes and general populations.. This module will provide you with a detailed theoretical knowledge of performance analysis concepts and practical skills to prepare them for work in an applied performance analysis environment. Learning to collect, analyse and present relevant performance-related data to understand how performance analysis can be utilised in sport. You will also learn the roles and responsibilities of the performance analyst developing and adapting interpersonal and communication skills to a range of sporting scenarios and audiences. To provide detailed knowledge of key concepts and theories of sport & exercise nutrition that can influence sporting performance. You will explore the physiological and biochemical basis of sport & exercise nutrition and develop their understanding of applied strategies to enable an adaptation in sporting performance. You will discuss such strategies in a sporting context by interpreting and analysing scientific literature through an oral presentation and written case study. This module will provide you with a detailed knowledge of well-established concepts within human movement and programming skills. This will allow you to identify and produce effective training programmes from a range of sources to allow athletes to be monitored, tested and communicated to appropriately. Furthermore, an understanding of how to collect and synthesise information related to movement patterning to avoid injury and maximise performance are key skills. This allows you to interact effectively with a team and provide feedback applicably to athletes and coaches. This module aims to introduce additional advanced sport science concepts, from a variety of disciplines. You will examine and analyse their role in optimising sports performance and/or health in a field setting. You must demonstrate the interdisciplinary nature of how the theoretical principles of coaching, biomechanics, physiology, psychology, strength and conditioning, and rehab can be integrated and applied to working with a client in the field. This module will enable students to experience and apply appropriate interdisciplinary knowledge, tools and procedures in working with both elite athletes and general populations. This module aims to synthesise learning from the your undergraduate programme providing an opportunity for you to study independently and investigate a topic in depth. It fosters academic curiosity; an inquiry-based approach, the employment and application of research skills thus facilitating the development of higher level of theorising. You will select a topic relevant to their degree on which they wish to undertake a substantial in-depth study. You will judge the reliability, validity and significance of the evidence to support conclusions and/or recommendations. This module will develop your systematic understanding through a wide knowledge base of principles used within the strength and conditioning field. Equally, you will seek to apply knowledge to use up to date equipment and techniques, which can be used to critically analyse performance and evaluate the outcomes. You will analyse data using a range of established subject-specific techniques and provide output data that is effective in various professional situations. This module develops your ability to apply the in-depth knowledge and skills gained from prior learning in relation to a professional practice environment. You will be required to reflect and evaluate their working practice and be able to adopt a problem-solving approach to practice and a working environment. The module introduces the theoretical concepts of sports and health coaching and performance analysis in a practically orientated way. SES, T&C and S&C students will experience different coaching styles in a variety of sporting and fitness situations and have the opportunity to plan, deliver, evaluate and modify coaching sessions. The module also offers opportunities to further develop ethical issues and aspects of health and safety. The PA students will be able to enhance their academic knowledge and practical experience of performance analysis in sport. PA students will learn to design, reliably collect, appropriately analyse and professionally present relevant performance-related data. Using a variety of sporting scenarios and techniques students will gain a good understanding of how performance analysis is used in sport, and the role of the performance analyst. To introduce students of health and social care related subjects to the process of health and social care research. It is a professional requirement for those working in health and social care related disciplines to underpin their knowledge with research and evidence-based practice. Professionals need to be able to access research findings, and through an understanding of the research process and methodology, be able to critique research and apply this knowledge to practice. The aim of this module is to develop the students' awareness the research process and to equip them with the skills required in the subject area appropriate to their target award and to offer some preparation for the final year project/dissertation. This module aims to enable students to understand the physiological basis of human movement from the cortex to skeletal muscle. Students will gain an understanding of the mechanical basis of human movement from Newton’s laws to the kinematics and kinetics of sport, exercise and rehabilitation. Students will gain understanding of the chronic physiological adaptations to sport, exercise and rehabilitation. Students will gain an understanding of the principles of measurement in muscle, vascular, cardiopulmonary physiology, kinetics and kinematics of human movement. This module integrates psychology theory with sport and exercise to explore how performance can be optimised. The first part of the module focuses on psychological and personal factors that affect performance, physical activity, exercise and sporting achievements. 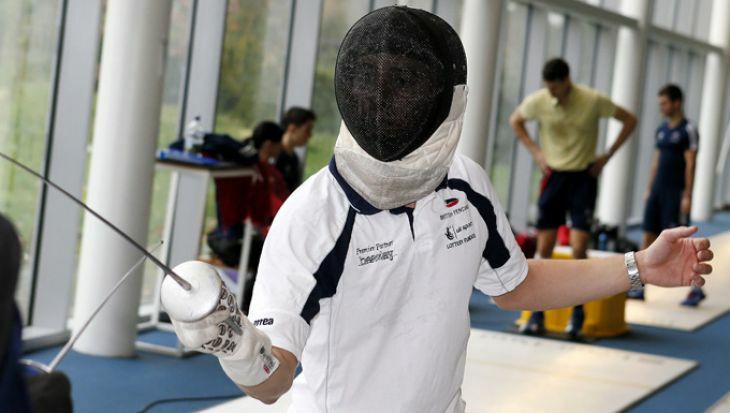 The module then progresses on to psychological skills training and the development of a sport psychology framework, focusing on specific techniques that can improve performance. The module provides the individual with a theoretical understanding of factors that underpin working with athletes and exercisers through practical exercises as well as psychological sport and exercise tests. The later part of the module provides an understanding for those working in sport, exercise, and rehabilitation on how psychological and socio-cultural issues impact on recovery from injury and illness and explores the importance of lifestyle management in working with those recovering from injury. To provide a detailed understanding of the scientific principles, concepts and theories of strength and conditioning training, including practical application to performance. The student will need to be aware of structure and function of the body, training adaptations, testing and evaluation, nutrition and be able to design effective fitness programmes. Students will develop knowledge of how to apply scientific principles to improve muscular strength, power and endurance with clients ranging from beginners to elite athletes. Practical sessions will include Olympic weightlifting, speed, agility and plyometrics training. The aim of the module is to highlight and introduce the advanced key scientific Principles and contemporary topics, across the three main sports science disciplines of physiology, psychology and biomechanics. 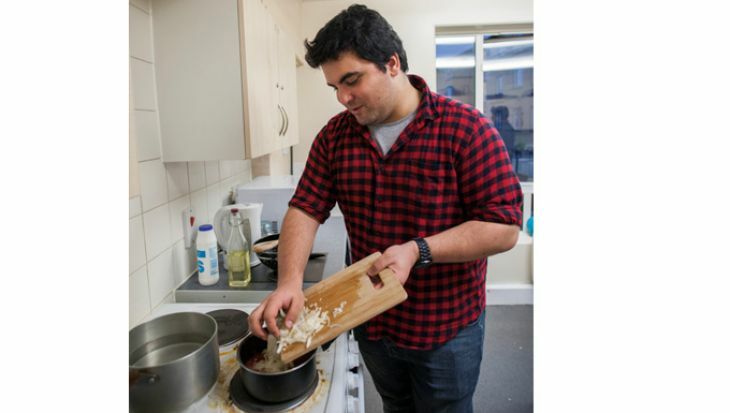 This module aims to synthesise learning from the students' undergraduate programme providing an opportunity for students to study independently and investigate a topic in depth. It fosters academic curiosity; an inquiry based approach, the employment and application of research skills thus facilitating the development of a higher level of theorising. Students will select a topic of personal interest on which they wish to undertake a substantial in-depth study. They will manage their own learning during this module, with the support of an allocated supervisor for this period if independent study. How is the BSc Sport and Exercise Science (Strength and Conditioning) taught? You will build up your knowledge and skills through lectures, seminars and laboratory and practical sessions. You will take part in group discussions, work on group and individual assignments and give presentations, for which you will receive feedback from other students. You will build up a portfolio of work and supplement your knowledge with guided and independent reading. 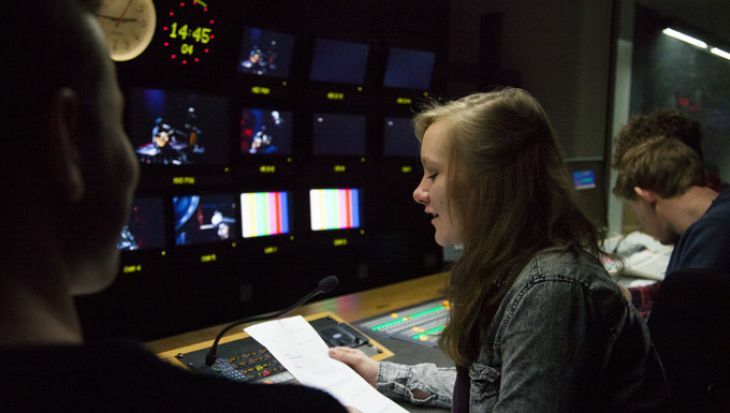 Placements and work experience will give you excellent opportunities to gain hands-on and real-life experience. 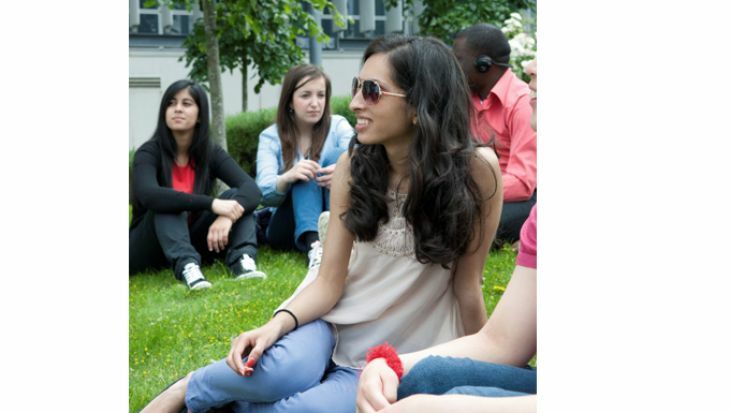 You will complete 150 hours of clinical practice throughout your degree (50 hours per year). You will receive help and support in identifying a suitable placement as well as with applications if required. 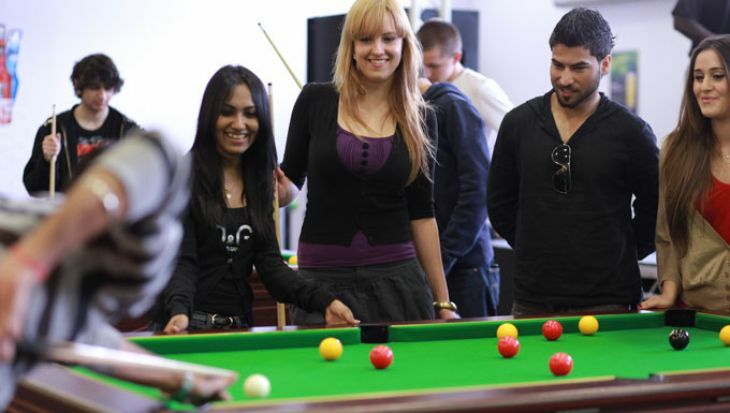 Placement opportunities exist in areas such as sports clubs, University sports clubs, local sports development projects, charities, fitness centres and schools. As well as exams and your portfolio, logbook and projects, you will be assessed on laboratory reports and other written assignments, seminar presentations, practical demonstrations and case study analyses. Students will be asked to give feedback on each other's work, and you will also evaluate your own work. You will complete five hours' work experience in each of the following disciplines: strength and conditioning; performance testing; and sport psychology and corrective exercise. To begin this course you must also complete a satisfactory enhanced DBS check and provide suitable references. One A level, or equivalent level qualification in depth and size, in a science subject. Please apply via UCAS using this course’s UCAS code CQ00. How can the BSc Sport and Exercise Science (Strength and Conditioning) support your career? Upon graduating, you could find yourself working in health and fitness club management, fitness consultancy, weight management, health promotion, personal fitness training, corporate health advice, sports or physical activity development, medical sales, and the armed forces. There are also career opportunities in teaching and research. You could also continue your professional studies by taking a British Association of Sport and Exercise Science (BASES) training programme to qualify as an accredited sport and exercise scientist. You can also take further studies to become a physiotherapist or sports rehabilitator. Our Employability Service can help you to develop your employability skills and get some valuable work experience. We provide workshops, events and one to one support with job hunting, CVs, covering letters, interviews, networking and so on. We also support you in securing part-time work, placements, internships, and volunteering opportunities, and offer an enterprise support service for those looking to start their own business. .
Our sport and exercise science facilities are based nearby to our Hendon campus in Allianz Park, offering unique access to academy and elite players and coaches. I have enjoyed the practical elements of the course; like undertaking and learning how to administer laboratory fitness tests. It's also great having the opportunity to choose your own pathway in the 3rd year; to focus your attention on specific areas you wish to specialise in. I am passionate about continuing my professional development in the sports industry, working my way up to taking a key role within an organisation such as Sport England. I am currently employed by England Athletics, the National Governing Body for Athletics on a part-time basis, as a 'Run England Activator' for South West London; actively engaging the community into recreational running in line with the National project to get the whole nation running.